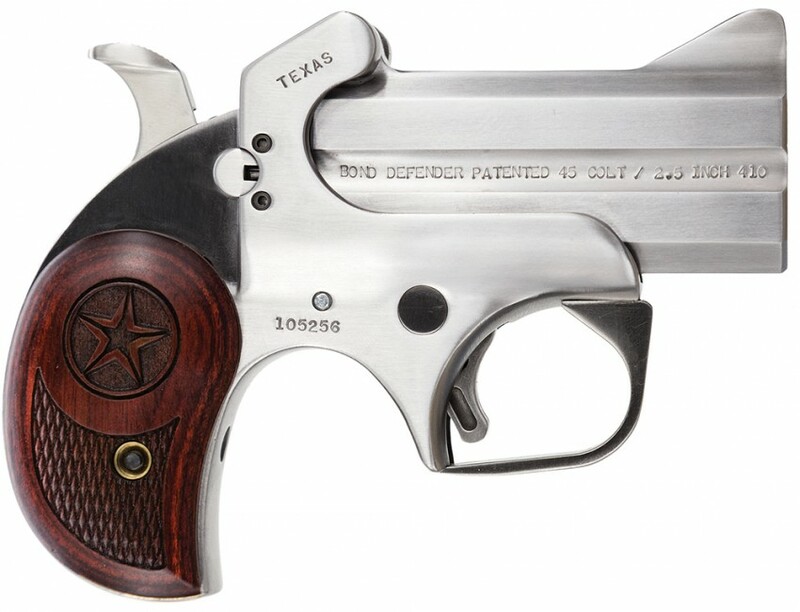 The Texas Defender by Bond Arms is a derringer available in 357 Magnum caliber and compatible with all Bond Arms interchangeable barrels. The Texas Defender features a cross-bolt safety and rosewood grips. 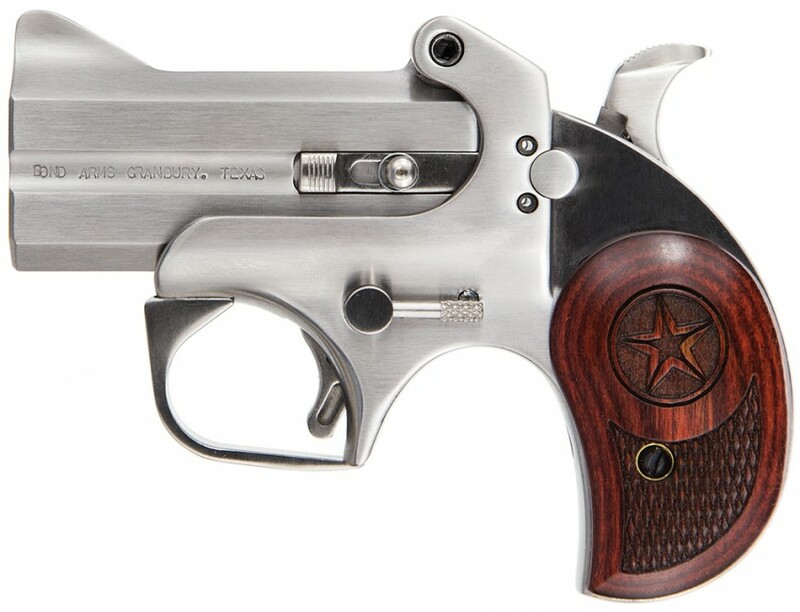 The trigger guard aids in the control of the pistol when shooting larger calibers, and the spring-loaded cammed locking lever allows for a tighter barrel/frame fit and rapid loading and unloading.